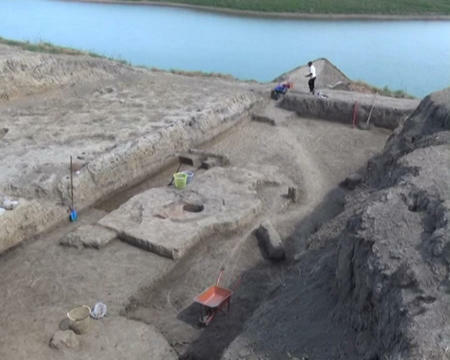 An ancient temple has been found during an expedition in Gullutepe village of the Jalilabad region, the Azerbaijani National Academy of Sciences (ANAS) reported. A lot of jewelry and ancient tools belonging to the Neolithic period have been also discovered during the excavations. Moreover, a large jug filled with ashes has been found in the center of the ancient sanctuary. The head of expedition, PhD Tufan Akhundov claims that the ash, found in the jug, has been formed due to the burning of wood used in various religious rituals. Moreover, two burials have been also discovered in the territory of temple.